The pre-forum reception and dinner provides the perfect setting in which to network with peers from other charities. This is complemented by a full day's programme of expert sessions giving insight and analysis into a range of investment strategies and crucial investment topics. Designed for finance directors, chairs, trustees and chief executives responsible for investment portfolios, the forum helps charities shape their strategies and maximize returns. to the desert, the jungle and remote mountain ranges. 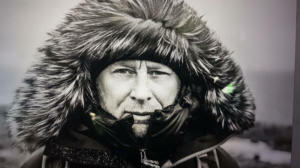 Then, after years of planning, preparation and fundraising, he led the first British team to walk without any support services from Canada to the Geographic North Pole. Alan now takes business leaders on polar expeditions. He believes in leading from behind, watching the team. His mantra revolves around meticulous preparations, taking tough decisions, managing emotions and questioning conventional thinking. Alongside Ed Coats, Alan Chambers is planning to close the chapter on one of the most famous ever endeavours - following in Captain Scott's footsteps. 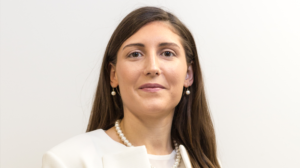 Danae Kyriakopoulou is the Head of Research at the Official Monetary and Financial Institutions Forum (OMFIF). The Forum is a global network of both public and private bodies covering everything from central banks to investment funds, regulators to asset managers. Prior to her appointment at OMFIF she served as Managing Economist at the widely-respected independent economic researcher the Centre for Economic and Business Research (CEBR). Leading their Macroeconomics Division she covered a broad global view of the economy, especially China, Sub-Saharan Africa and Europe. Born and raised in Greece, Danae studied in the UK before joining the CEBR. She edited the Centre’s quarterly global economic review, and acted as external advisor to the Institute of Chartered Accountants in England and Wales delivering research for them around the world. As well as a global outlook, Danae focuses in particular on China and Sub-Saharan Africa. She considers how to cut-through much of the hype, disinformation and misunderstanding attached to the Asian superpower. She examines both the internal and external economic story, including the reasons behind their huge investment in parts of Africa and its infrastructure. What to expect at the Forum?